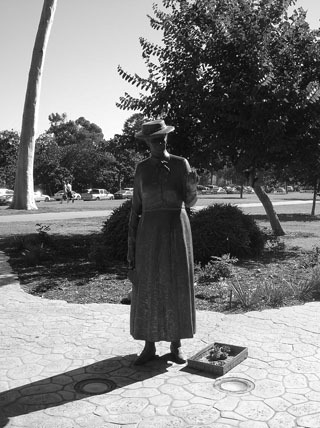 A statue was erected in her honor in Marston Point, the southwestern section of the Park. 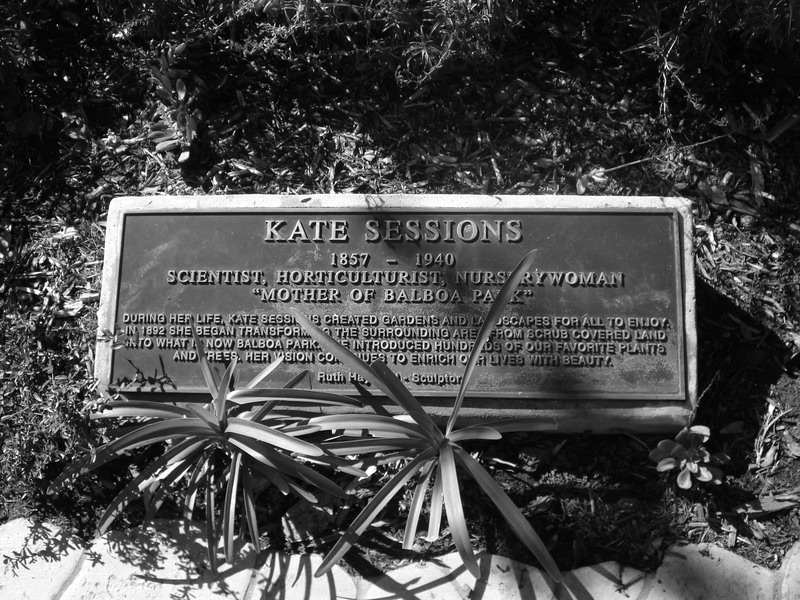 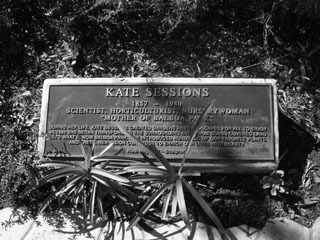 Below are pictures of both the statue and plaque. 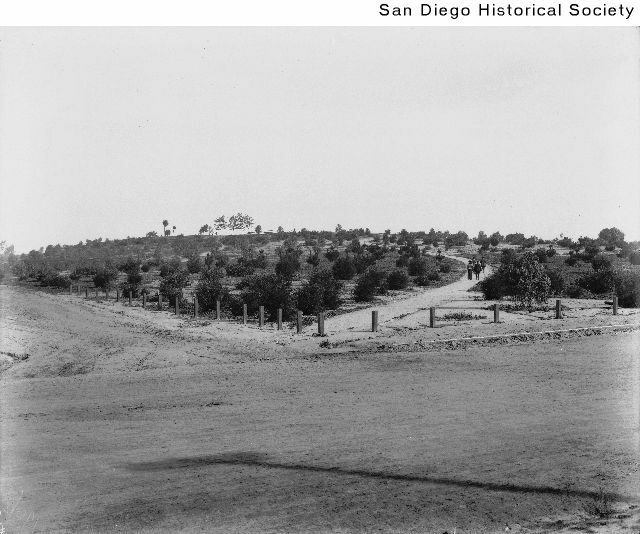 A view of a valley looking south from the Prado. 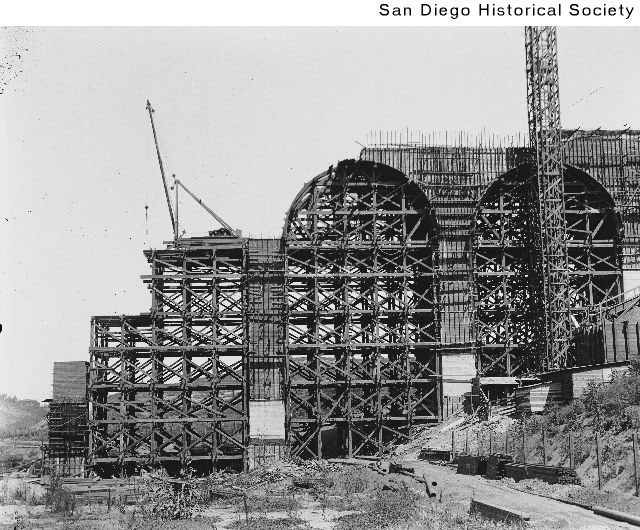 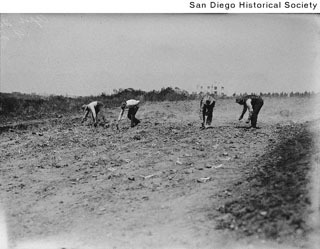 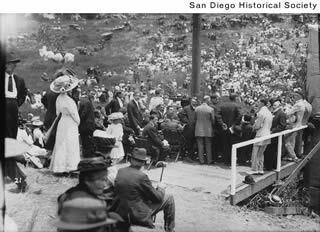 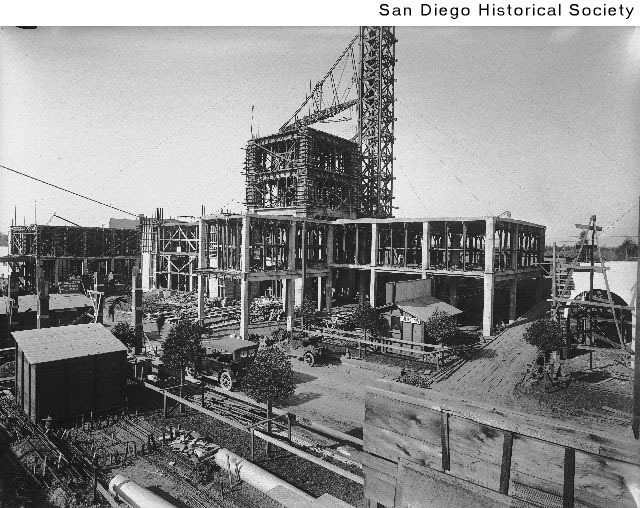 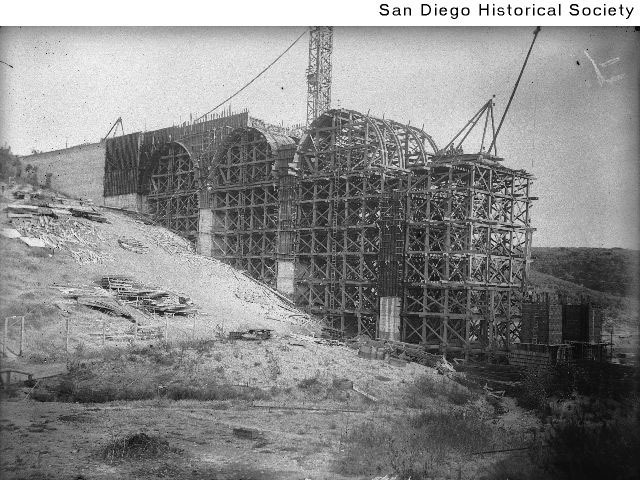 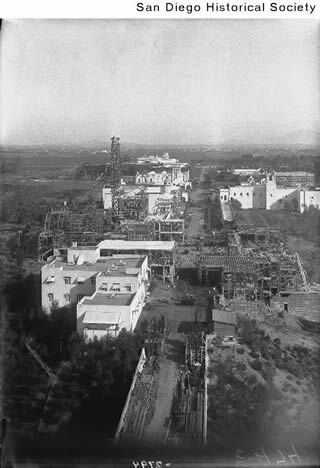 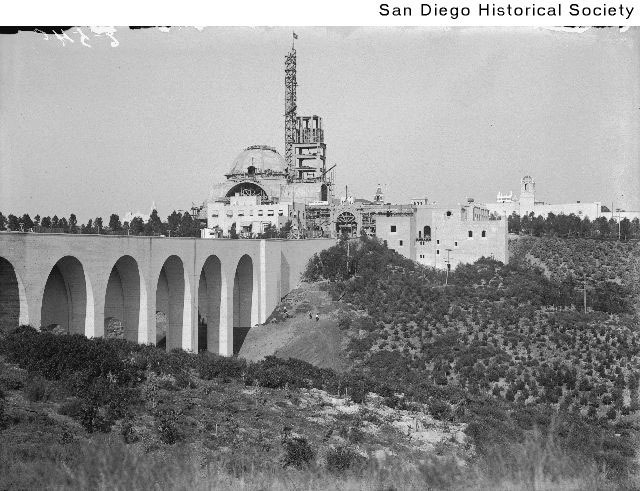 In 1910, San Diego's Chamber of Commerce began asked local taxpayers for money in the form of bonds to support the construction of an exposition. The world's fair was to celebrate the completion of the Panama Canal. 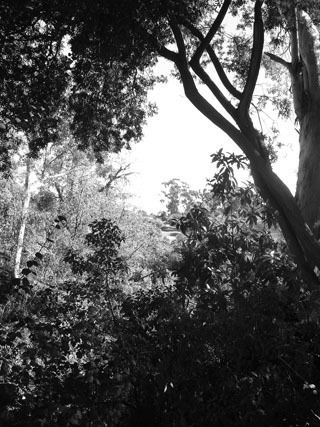 $1,884,500 worth of bonds were proposed "for the purpose of improving City Park to include the proposed Panama Exposition grounds." 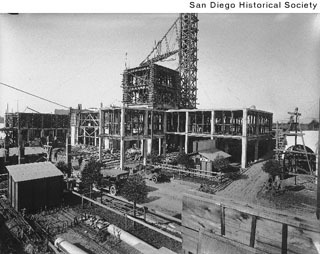 The bond measures were approved in early May, 1910. 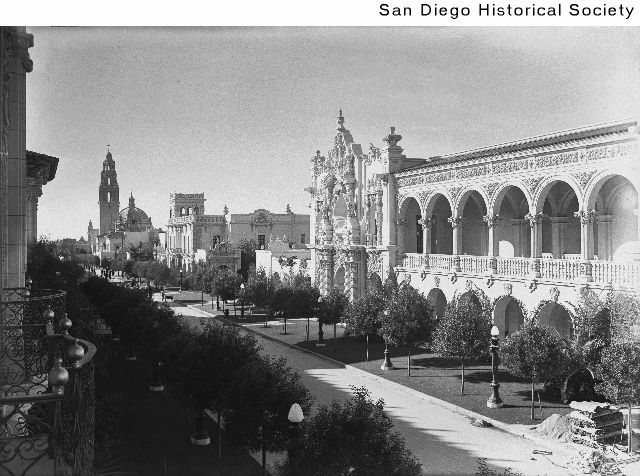 (Los Angeles Times May 1, 1910, pg I11) In October of that year, City Park's name was officially changed to Balboa Park. 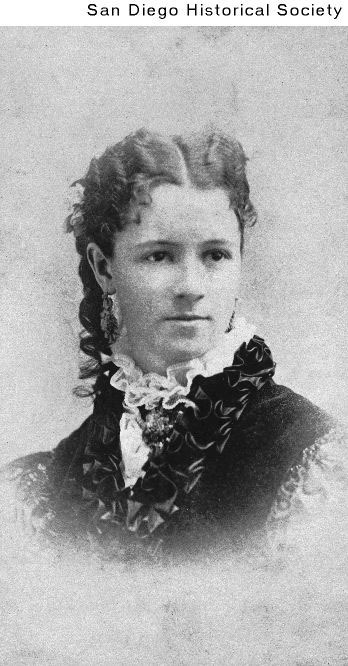 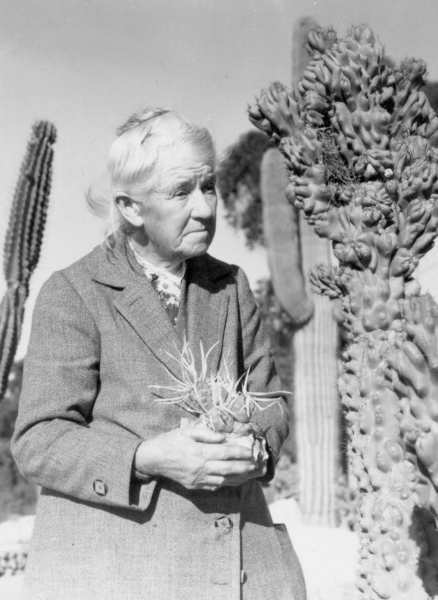 "The choice was made from a dozen illustrious or poetical names, the commissioners yielding to the points advanced in favor of the daring explorer and discoverer of the Pacific." (Los Angeles Times Oct 29, 1910 pg I5) It was during this time that the newly renamed Balboa Park would shift from the Olmsted approach of American park design to be dominated not by nature, but by city within a city. As a result, many of the buildings remain today and are registered historical landmarks by the National Park Service. 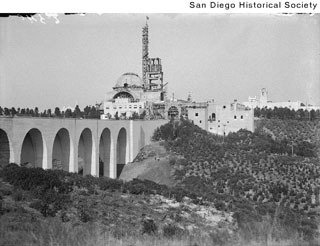 It is one of the few places where a cluster of world's fair buildings are still intact.